The path to ultimate coffee snobbery is a long and winding one, complete with pit stops for caramel macchiatos, French presses, and cups of heirloom Ethiopian varietals. 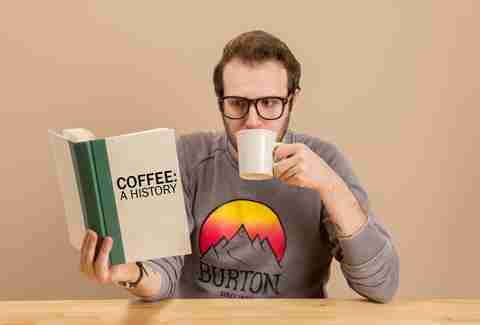 Most drinkers will never actually reach coffee-nerd actualization, but almost everyone -- from those who've only just popped their coffee cherry to drinkers with a truly enlightened buzz -- lands somewhere on the spectrum of these 12 phases. The timing of everyone's first cup is different, but it will likely be after the cooties era, but close to when the clock strikes puberty. Maybe it's at the neighborhood diner or on a lazy Saturday morning at home, but no matter where it is, it will taste like a blend of dirt and paper and melted brown crayons. To the surprise of your adolescent taste buds, a taste of your mother's Starbucks unlocks a category of coffee drinks that taste less like coloring books and more like dessert. Thanks to the syrups, whipped cream, and bonus sugar that you can actually add yourself (! ), caramel macchiatos and Frappuccinos become potent rewards any time you are dragged along on a kid's worst nightmare (“errands”). Right around when you graduate from high school, or a year before if your family situation warrants thousands of dollars of therapy, you'll receive a hand-me-down drip machine with a grizzled glass pot and chambers growing nascent forms of penicillin. The cheapest canned grounds on the shelf will be your sludge of choice, drank purely to help you wake up or avoid going to sleep. A good local coffee shop is the gateway drug to future coffee-snob status. A friend will be working behind the bar, sliding over free lattes in exchange for an extra dollar in the tip jar, and soon enough those corporate canned beans will no longer taste like the Best Part of Waking Up™. Mr. Coffee doesn't seem like a cool dude down to party all night long anymore, but rather a milquetoast vestige of your parents' generation (which you HATE). At this point it still isn't quite about tasting your coffee, it's more about feeling it. Your newfound early-adult ennui pairs well with the harsh sounds of a cheap grinder and grittier textures of a French press. If you happened to study abroad in Italy, the thick, stewy consistency of a moka pot will be your weapon of choice. Phase 6: Realize that there are more flavors to coffee than just "coffee"
Did you know that there are actually more flavor compounds in coffee than wine? Thanks to a friend who is a barista, you do now, and it's a fact that will guide you to the shining beacon of coffee snobbery called the flavor wheel. Every shot of espresso is now an adventure through a 2001-esque wormhole of colorful, ill-fitting adjectives. Once you come out the other side, a taste for cream and sugar will have been jettisoned. Odds are your city has one of the best coffee shops in the country and you are damn proud of it. You have a mental rolodex of what brands of beans each shop carries, the preparation methods offered, and Wi-Fi signal strength. Compared to the tiny hand-poured concentric circles mastered by your favorite baristas, your French press seems unsophisticated and dirty, which it definitely is because it's so hard to clean. It will soon gather dust in favor of a Hario V60, Kalita Wave, or AeroPress. The coffee you used to measure in uneven tablespoons is now weighed in grams on a digital scale after being ground on a fancy grinder that you don't know how to properly calibrate. Gone are the days of recklessly pounding coffee. 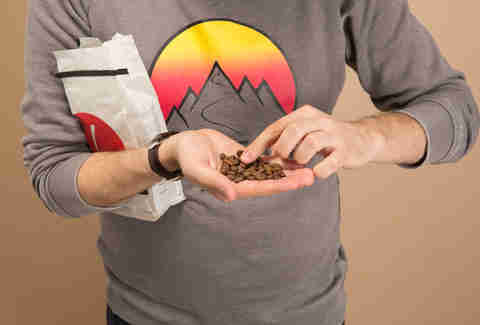 Each cup is now a unique experience that contributes to a greater lexicon of coffee understanding. Whenever ordering you always ask the source of the beans and eagerly await those three precious tasting notes -- bonus points if one of them is tea-like. 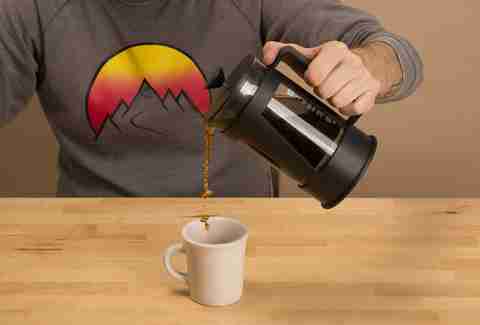 The landscape of national roasters is unlocked and you begin ordering beans online. You gain a vague grasp on different countries' general flavor profiles: Ethiopians are big and fruity and chocolatey, Colombians taste like "coffee" but in a good way, and Kenyans are just weird. Kenyans are your favorite. Now that you've walked the promised land, the next step is evangelism. You relentlessly ask friends and family how they take their coffee, offering unsolicited suggestions on how to improve their “home set-ups." K-Cup machines draw a particular ire and become a dating deal-breaker. It's no longer enough to know the country of origin of a bean, because details like elevation and varietal become important parts of any cup. The dichotomy between washed and natural coffees becomes a big deal, and pulped naturals are a contentious source of debate. 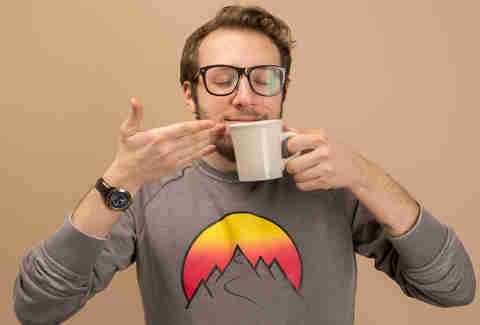 You amass a library of coffee-related books, know the sarcasm level of each individual contributor to Sprudge.com, and own several coffee T-shirts and one cherished pair of La Marzocco sunglasses. 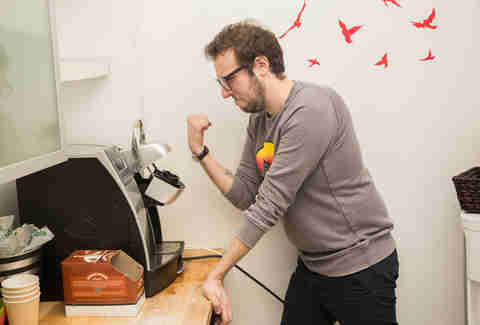 You have judged a latte-art throwdown. Cupping sessions are old hat now, you even have a lucky tasting spoon. Your one visit to a coffee farm is a gold star that you use to assert dominance over coffee snobs of lower evolution. The clouds part. It becomes clear that not every coffee needs three adjectives attached to it. Mr. Coffee doesn't seem like such a bad dude anymore, he's just trying to feed his kids. There's actually a strange pleasure in drinking plain diner coffee, although you'll still draw the line at coffees from bank lobbies and hotel continental breakfasts. 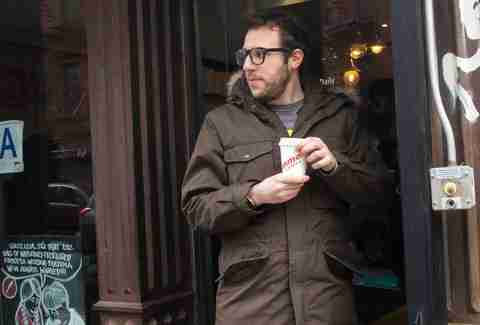 Dan Gentile is a staff writer at Thrillist. He is hovering right around Phase 10. 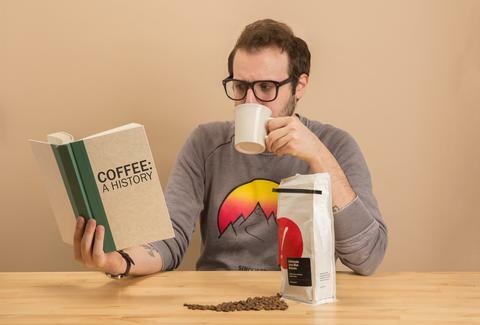 Follow him to telling you how to drink your coffee at @Dannosphere.